We encourage you to follow the Northside Church daily Bible reading plan. Click the links in the table below to read each day's scripture. To learn more about the plan, click the "Instructions" tab above. It is important to realize that the 'rewiring' work of the Spirit, by which he changes us from the inside out, is a supernatural process that cannot be directly linked to prayer and Bible study in a one-to-one ratio. While these disciplines are important tools for our spiritual maturity, we should not assume that their use automatically or proportionally makes the Holy Spirit work. Were the ratios exact, then legalistic uses of the disciplines of grace would be more pervasive than they already are. Instead, the Spirit seems to respond to humble repentance and dependence on God alone for changing the heart, and then to use the regenerated heart's longing for change to create new pursuits and godly passions. We offer this plan as a potentially helpful tool for you to engage with God through his Word. The ideal is that this is a time of meditation – below the surface thinking about the realities revealed in the passage for the purpose of understanding, life-application, and prayer. We would recommend you set aside 10-15 minutes so you can pray for insight, read the passage, write something down (comments,questions, observations, etc. ), and pray. If the readings seem overwhelming, feel free to start with just the New Testament readings. Covenant Theological Seminary: Free theological education resources. How to Read the Bible Book by Book, by Gordon Fee and Douglas Stuart. A one volume orientation that contains a short introduction to each book of bible as well as reading hints. How to Study Your Bible, by Kay Arthur. Provides simple tools to make observations, interpret scripture on your own, and apply to your life. Want to go deeper? 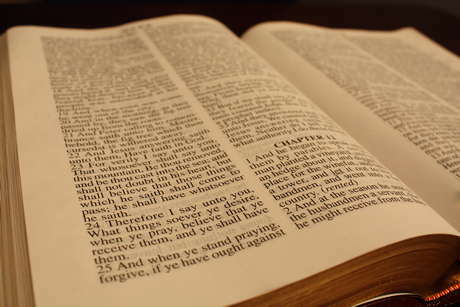 Click here for some questions that can help during your Bible reading time. Adoration - How can I love and praise God on the basis of this? What do I see here that I can praise him for? Confession/Repentance - How do I fail to realize this in my life? What wrong behavior, harmful emotions or attitudes result when I forget this? Gospel Thanks - How can I thank Jesus as the ultimate revelation of this attribute of God (#1) and the ultimate answer to this sin or need of mine (#2)? Aspiration - How does this show me what I should or can be and do? How would I be different if this truth were powerfully real to me?